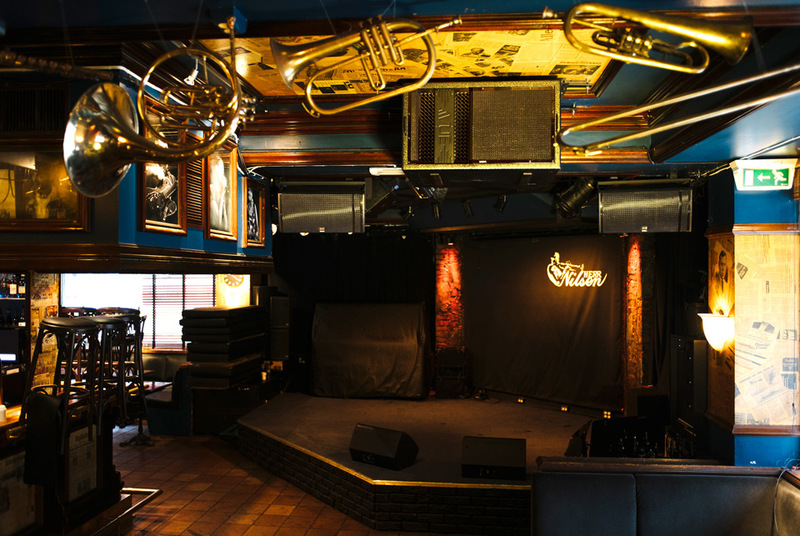 Located just a few meters from the Oslo Nye and The Norwegian Theatres, Herr Nilsen Jazz Club is an intimate club to enjoy internationally recognized jazz talent from around the globe. 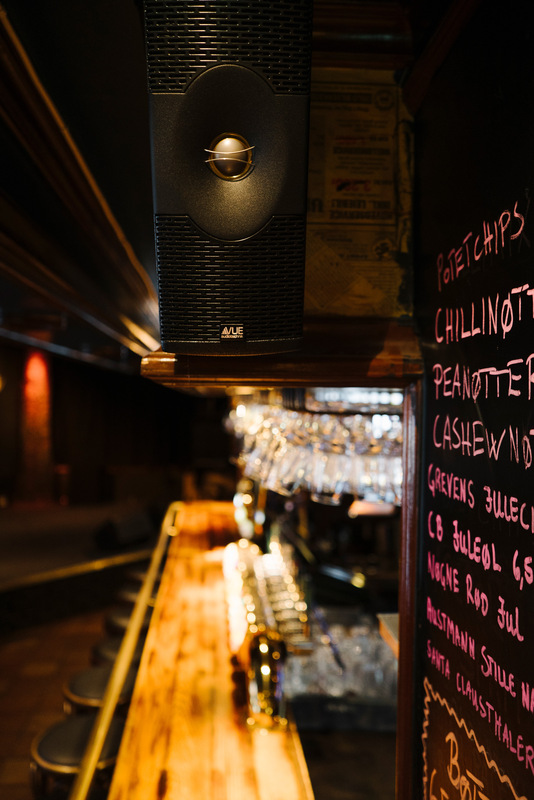 2018 marked the club’s 25th year, and with a spirit of celebration, club owner Espen Nilsen set his sights on the future with a state-of-the-art audio update from VUE and Oslo-based integrator avon. Completed in late 2018, Herr Nilsen’s finished design includes four VUE h-208 high-definition systems with VUE’s trademark beryllium high frequency components. 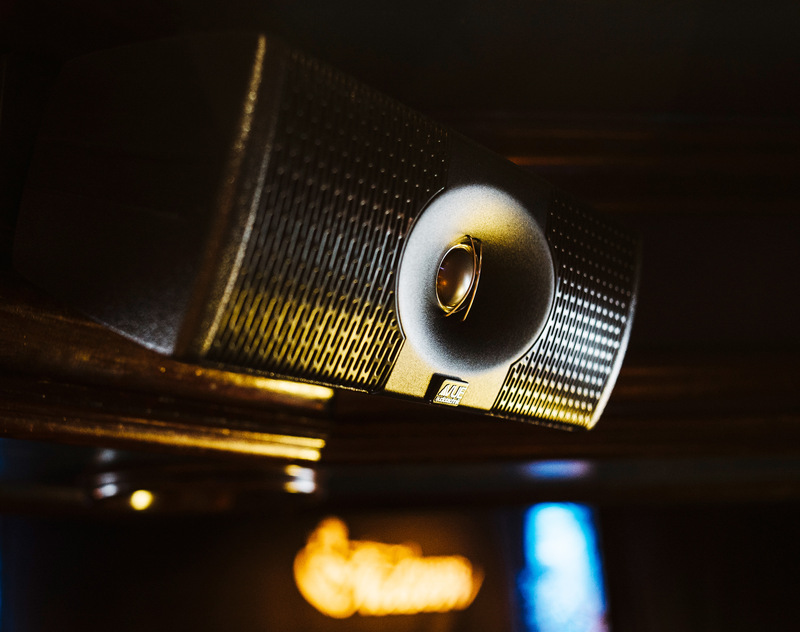 The h-208’s low profile design and versatile mounting options made them the ideal fit for the club’s intimate environment and low ceiling height. To accommodate the “L” shaped layout of the room, avon configured the four h-208’s into two stereo zones and mounted them above the main stage. A pair of VUE h-5s provide front fill, while low frequency comes courtesy of two hs-25 dual 15-inch ACM subwoofers–also mounted above the stage between the h-208s. Extending coverage to the bar area are two VUE e-352 Architectural Element Systems. 4 V4 Systems Engines provide power for the h-Class speakers. As an added benefit, the client also has access to end-user level controls like mute, sleep, input, EQ and shaping; given the system’s performance and precision, there is no need for house EQ adjustments, however.